Tickets are no longer for sale. There may be limited tickets availble at the door based on last-minute cancellations. This event will truly be the first of its kind: A day exploring the science and experience of awe. Attendees will gain eye-opening insights and practical lessons to apply in health and educational settings, as well as in their own personal lives. And they will experience jaw-dropping moments of awe throughout the day. Only recently has awe received serious scientific attention. Cutting-edge research on this emotion, including an unprecedented three-year project now drawing to a close at UC Berkeley, suggests that it has profound psychological, social, and physical health benefits—perhaps even stronger, in some cases, than those of other positive emotions. At this day-long event, the leading scientific experts on awe will reveal the latest findings from their research. They will discuss its therapeutic and unique health benefits, how it can foster kindness and connection, and its potential to help kids and adults thrive in life. Their talks will be complemented by mind-expanding presentations and performances by artists, educators, and others. The program will explain what makes an experience awe-inspiring, shed light on why we feel awe, and explore how to inspire more awe in daily life—through nature, art, technology, and more. The day will feature keynotes by two pioneers in the study of awe: Dacher Keltner, Ph.D., UC Berkeley professor of psychology and founding director of the Greater Good Science Center and Michelle "Lani" Shiota, Ph.D., a professor of psychology at Arizona State University. Drs. Keltner and Shiota will be joined by other top scientists, as well as world-class artists and creators, including Shots of Awe creator Jason Silva, former U.S. Poet Laureate Robert Hass, Grammy Award-nominated musician Wu Man, folk musician Melanie DeMore, and experts from the Exploratorium, NASA, the Sierra Club, the Bay Lights & more. Five CE credit hours are available to nurses, psychologists, therapist, social workers, educators, and others. Attendees will come away with a new way of seeing the world. "The Art & Science of Awe" marks the culmination of a three-year research project on "The Universality of Awe," run by the Berkeley Social Interaction Laboratory and funded by the John Templeton Foundation. 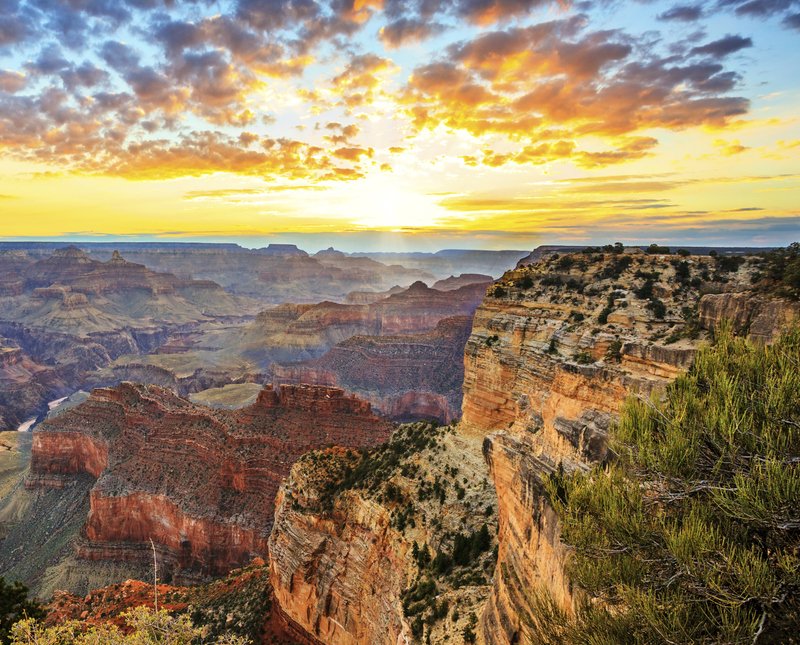 What is awe and why does it matter? Keynote by Michelle “Lani” Shiota, Ph.D., Arizona State University. Evoking Awe Through Art: Artists perform and reflect on how their work tries to convey and inspire awe. Includes a performance by Wu Man. • Moderated by Emiliana Simon-Thomas, Ph.D.
• Moderated by Dacher Keltner, Ph.D. Closing reflections from Dacher Keltner, Ph.D.
Craig Anderson received his Ph.D. from UC Berkeley, where he was a member of Dacher Keltner's Project Awe research team. His most recent project is a research collaboration with the Sierra Club, focusing on how experiencing awe in nature can be therapeutic for both adolescents from under-served communities and military veterans. Ben Davis envisions art in places most others don't. Fueled by a passion for infrastructure–the manmade systems that connect and define civilization–he seeks to shed light on the wisdom that we do better when we work selflessly toward a shared and meaningful purpose. Mr. Davis believes that public art has the unique power to uplift individual lives as well as drive cities toward more conscious evolution. The creative agency he founded has named and branded infrastructure projects totaling more than $15b in civic investment. He has edited and published EVERYTHING INDICATES: Bay Bridge Poems & Portraits. He is the artist behind Pi In The Sky, a featured work of the 2012 ZERO1 Art & Technology International Biennial and SXSW 2014. He is the catalyst behind the monumental LED art installation on the Bay Bridge, The Bay Lights. David Delgado is a visual strategist at NASA' Jet Propulsion Laboratory (JPL), where he develops experiences that provoke curiosity through a mix of science and imagination. His recent work includes Metamorphosis, which allowed people to walk through the growing tail of a comet, and The NASA Orbit Pavilion, allowing people to listen to satellites streak across the sky above them. Outside of JPL, David works as an independent artist and co-founder of the Museum of Awe, a museum of experiences designed to leave visitors feeling the gift and privilege of being alive. Melanie DeMore is one of the most outstanding vocal artists of today helping to preserve the African-American folk tradition through song and Gullah stick pounding and is the subject of a documentary on the tradition, Stick and Pound. She has a career spanning 30 years dedicated to teaching, lecturing, mentoring, conducting, directing, and inspiring children and adults about the power of song as social and political change. Alex Filippenko, Ph.D., an elected member of both the National Academy of Sciences and the American Academy of Arts & Sciences, is one of the world's most highly cited astronomers and the recipient of numerous prizes for his scientific research. He was the only person to have been a member of both teams that revealed the accelerating expansion of the universe, an amazing discovery that was honored with the 2011 Nobel Prize in Physics to the teams’ leaders and the 2015 Breakthrough Prize in Fundamental Physics to all team members. Robert Hass is one of contemporary American poetry’s most celebrated and widely-read voices. He served as U.S. Poet Laureate from 1995-1997 and has won both the National Book Award and the Pulitzer Prize. In the mid-1990s, Hass cofounded the River of Words organization, which provides tools for teaching ecoliteracy to young students through multidisciplinary, interactive curricula. He is Distinguished Professor of Poetry & Poetics at UC Berkeley. Vanessa Inn is a self-confessed Awe Junkie. For more then 30 years she has provided strategic advice to the entertainment art industry’s leading CEOs, studio heads, actors, writers, producers, directors, and rock stars. She’s developed a loyal following by helping clients sharpen their vision, navigate real world challenges and achieve and maintain success on a world stage. In 2013 she moved to San Francisco and joined the non-profit arts organization ILLUMINATE as their Chief Strategy Officer. She shares her love of awe in helping ILLUMINATE manifest awe-inspired civic art. Jaclyn Lim is a Sierra Club volunteer who credits her life’s trajectory to her experiences and awe with nature. She currently works for Marin County Parks as a restoration ecologist and botanist. When she isn’t conducting vegetation surveys, Jaclyn enjoys white water rafting, cooking, and playing soccer. Julie Mann is an ESL and human rights teacher at Newcomers High Schooly in Queens, New York, where she has taught new immigrants to the United States for 21 years. She is a self-labeled Greater Good Science Center "super fan" and uses Greater Good in Action strategies in all of her classes. She is an alumni of the 2015 GGSC Summer Institute for Educators and works closely with GGSC to help bring the magic of awe, gratitude, mindfulness, resilience, self-efficacy, growth mindset, play, forgiveness, and happiness to her students. Paul K. Piff, Ph.D., is an assistant professor of psychology and social behavior at Irvine, where he also directs the Social Inequality and Cohesion Lab. Dr. Piff's research examines the origins of human kindness and cooperation, and the social consequences of economic inequality. In 2015, Dr. Piff was designated as a Rising Star by the Association for Psychological Science in recognition of his outstanding early contributions to the field of psychology. Tom Rockwell is director of exhibits and media at the Exploratorium, San Francisco’s museum of science, art, and human perception. During his 11 years at the Exploratorium, Tom led the development of new galleries for the museum's move to the waterfront in 2013, as well as the Geometry Playground exhibition and other NSF supported projects. Prior to coming to San Francisco, Tom founded and ran Painted Universe, Inc. where projects included exhibitions such as "It’s a Nano World," "The Enchanted Museum: Exploring the Science of Art," and illustrations for The Elegant Universe by Brian Greene. Michelle "Lani" Shiota completed her Ph.D. in Social/Personality Psychology at University of California, Berkeley in 2003, and then received post-doctoral training in the Berkeley Psychophysiology Lab. She joined the social psychology faculty at ASU in 2006, establishing the Shiota Psychophysiology Laboratory for Affective Testing (a.k.a. SPLAT Lab), which studies human emotions, relationships, and awe. Jason Silva is the Emmy-nominated host of National Geographic Channel’s #1 rated and Emmy-nominated TV series, Brain Games, seen in over 171 countries. “A Timothy Leary of the Viral Video Age” was how The Atlantic described television personality, filmmaker, and philosopher Silva, who is also the creator of the Discovery Digital web series Shots of Awe, micro-documentaries exploring creativity, innovation, exponential technology, futurism, metaphysics, existentialism and the human condition. Jennifer Stellar received her Ph.D. from UC Berkeley and is currently starting a faculty position in the Psychology Department at the University of Toronto. Her research examines the impact of prosocial emotions--including awe, compassion, and gratitude--on health and well-being. She explores how these emotions work in concert with our biological systems to support giving, helping, bonding, and overall physical health. 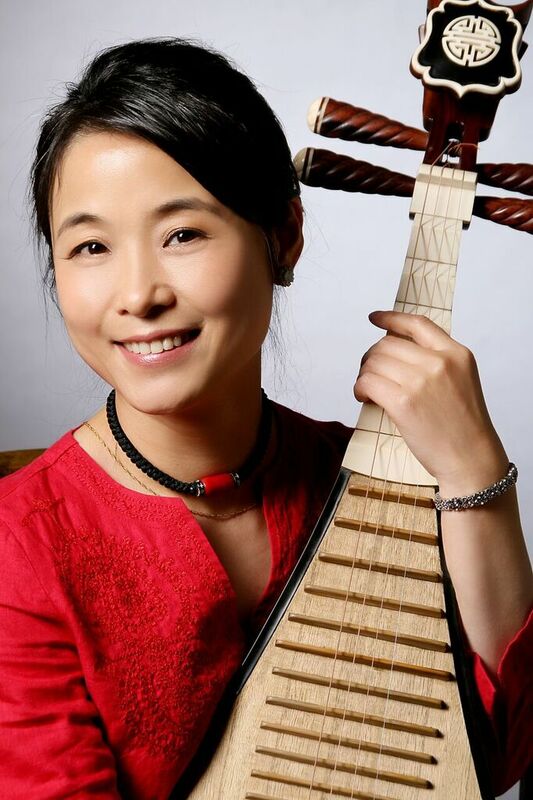 Recognized as the world’s premier player of the pipa, a Chinese stringed instrument, and leading ambassador of Chinese music, Grammy Award-nominated musician Wu Man has carved out a career as a soloist, educator, and composer. Wu Man has premiered hundreds of new works for the pipa, while spearheading projects to both preserve and create awareness of China’s ancient musical traditions. She was named Musical America’s 2013 Instrumentalist of the Year, marking the first time this prestigious award has been bestowed on a player of a non-Western instrument. A former teacher and school administrator, Vicki Zakrzewski, Ph.D., is the education director of the Greater Good Science Center. An expert on the science of well-being, she provides science-based ideas for promoting the social and emotional well-being of students, teachers, and administrators, as well as methods for creating positive school cultures. * Attendees can receive 5 CE credit hours for attending in-person or online. R. Cassidy Seminars, ACE provider #1082 is approved as a provider for social work continuing education by the Association of Social Work Boards (ASWB) www.aswb.org, through the Approved Continuing Education (ACE) Program. Approval Period: April 15, 20015-April 15, 2018. R. Cassidy Seminars maintains responsibility for the program. Social workers should contact their regulatory board to determine course approval. Social workers will receive 5 continuing education (clinical, social work ethics) clock hours in participating in this course. IL: Illinois Dept of Professional Regulation, Approved Continuing Education Sponsor, #168-000141. 5 hours. Provider approved by NAADAC Approved Education Provider Program for 5 contact hours. Approval #000654. TX: Provider approved by the TCBAP Standards Committee, Provider No. 1749-06, 5 hours general. Expires 3/2017. Complaints about provider or workshop content may be directed to the TCBAP Standards Committee, 1005 Congress Avenue, Ste. 460, Austin, Texas 78701, Fax Number (512) 476-7297. CA: Provider approved by the CA Board of Registered Nursing, Provider #CeP12224, for 5 contact hours. IL: Provider approved by the Illinois State Board of Certification #080304164719171 5 CE hours. TX: R. Cassidy Seminars is an approved provider with the Texas Education Agency CPE# 501456. This course is 5 CE Hours.